Have you ever had the opportunity to hear the talented Eve Mayer speak? Here are 10 reasons why you should! 1) Eve Mayer is a professional keynote speaker, having spoken in more than 30 cities and in 5 countries. 2) She was recognized by Forbes and CNN as a leader in social media. 3) The National Sporting Good Association, Harvard Business Club, Digital Summit, Allstate, and Insperity have all booked Eve multiple times. She is encore worthy! 4) The week before speaking with the President of Iceland, Eve got a black eye in the company pie fight. She still rocked her presentation at Reykjavik. 5) Mark Cuban joined Eve at UTD to judge a Shark Tank Like contest awarding $20,000 to future entrepreneurs. 6) Eve is the CEO/Owner of Social Media Delivered, has written for Forbes, and has published 3 books. 7) Eve did a TEDx talk on The Fearless Alter Ego. 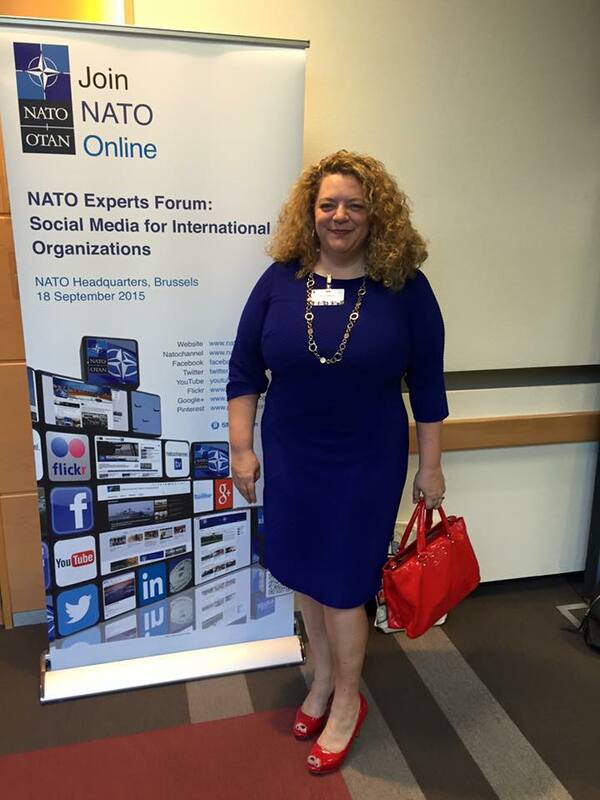 8) Eve spoke in Belgium for NATO and was a Keynote speaker in Australia for DiG. 9) Eve is known as @LinkedInQueen and is followed online by over 120,000 people for her quick tips on social media, digital marketing, business motivation, and women empowerment. 10) Don't leave your back row drooling from boredom! You can't afford NOT having Eve speak at your next event. What are you waiting for? Book Eve for your next event at evemayer.com or give us a call at (469) 248- 0616.